A Sussex Police inspector is being investigated for misconduct after allegations he had ‘improper sexual relationships’ with women. 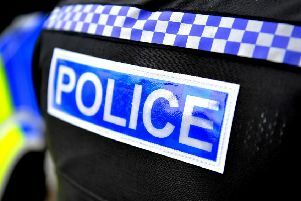 Police watchdog the Independent Police Complaints Commission (IPCC) arrested the Brighton-based inspector for misconduct in a public office on Thursday (March 2) as part of the investigation. He has since been bailed, but has been suspended by Sussex Police. The police force said allegations were referred to the IPCC that the police officer had ‘improper sexual relationships’ with women in the course of his duties. “We have a responsibility to recognise abuse of power as a distinct area of corruption, behaviour which deflects from the honourable work of the vast majority of officers. Vulnerable victims must be able to trust those they turn to for help. “Within the force we have a confidential referral system for anyone who suspects or witnesses inappropriate behaviour. IPCC investigators said they had made a search of the man’s workplace and home and have also attempted to contact some of the women concerned.